Sorry, but as of now there seems to be no way to remove the restrictions. but even if I pay permission in my country I will not be able to fly in restricted areas? Even if you've paid some fee to fly somewhere, Karma isn't going to know about that. There's no way to tell it that you have permission. See https://gopro.com/help/articles/Question_Answer/What-is-a-No-Fly-Zone for more information regarding restricted and no-fly zones, and which countries Karma knows about. Good link and very informative. I live near the U.S./Canadian border and am having a related issue, whereas the GoPro software is extending a 5 mi. no fly zone around Canadian heliports (as per Canadian sUAS rules) into the U.S. airspace. So even though I am in U.S. Class G airspace I still cannot fly anymore. Hopefully they will address this issue soon. The white/grey line is the border in this picture. Yeah, that's a tricky one for them to deal with, but it looks like you're right - you'd legally be allowed to fly at your location but the Canadian rules are overflowing into US airspace. I'd make sure you let GoPro know on their forums that this is affecting you. It's a fringe case that they'd probably not see very often, but if you don't alert them they won't prioritise a fix. Big Brother Watching - ! 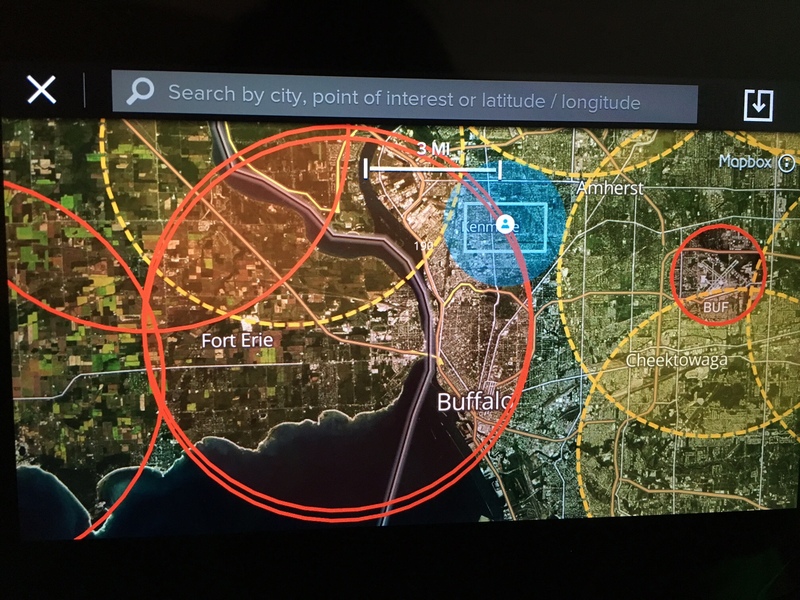 The large red circles on that picture are Canadian airspace around Heliports and the small red ones are US airports. There are different rules in Canada and the US so that's what why you're seeing those differences.